I fall in love with London everyday. 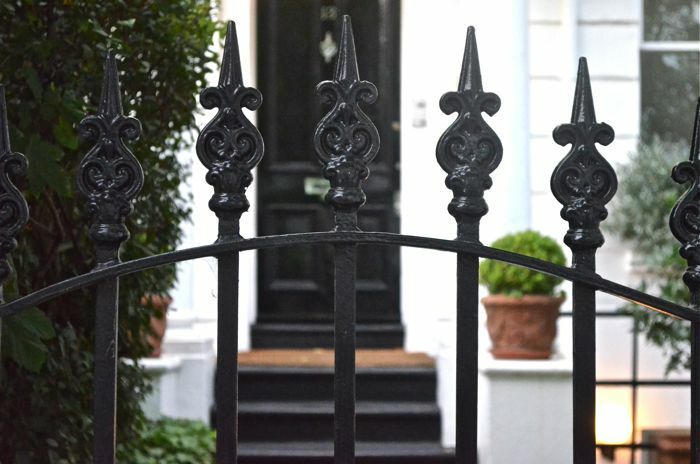 Londoners are not content with plain fences or windows or front steps. 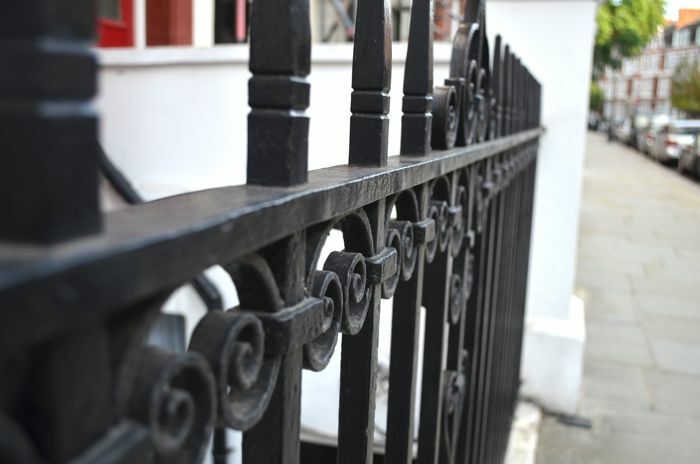 Rather, ordinary parts of homes are an opportunity for incredible decorative detail. And so everyday I am surrounded by a great deal of intentional beauty. 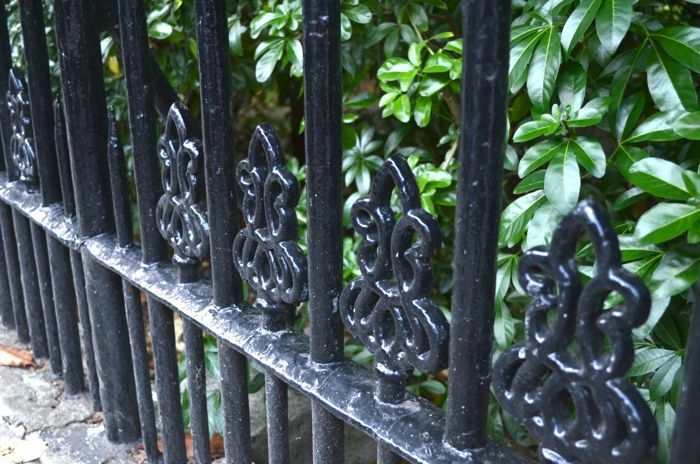 This week I'm featuring some of the beautiful wrought iron fences I've walked past in my neighborhood. I've thought a lot about why Londoners have invested so much time and ostensibly money into the details of their homes. Is it because they have a greater appreciation for the decorative arts? Or perhaps it's because it requires a certain level of affluence to own a home in London; and thus, they have the money to invest in the decoration? Maybe, by virtue of being such an old city, much of the detailed decoration is leftover from a time past? 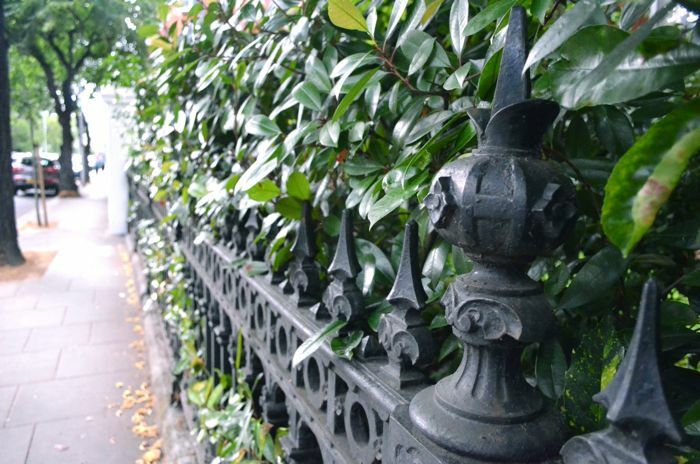 One of the best parts about the wrought iron fences is the unique finials. The above pine cone is my favorite so far. Traditionally, pine cones are meant to symbolize human enlightenment and eternal life. 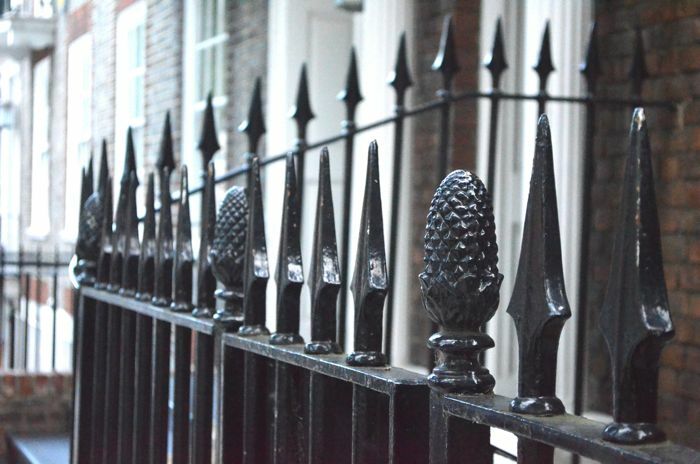 I wonder if the homeowners chose the finial design because of its meaning. Another example of this type of design choice involves lions. Frequently, you will see lion statues outside buildings or lion door knockers. The fierce lion is meant to protect the building and the home. 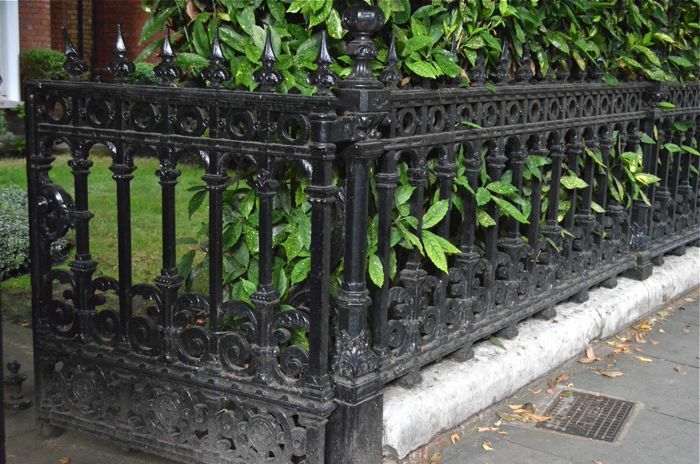 The other nice thing about the decorative detail in London is that it is amongst natural beauty. What do I mean by this? There's nothing quite like the magic of Paris, but everything is perfectly detailed and perfectly beautiful. For me, sometimes this can lead to Paris seeming unreal and the beauty being less meaningful. In London, not everything is perfectly tweaked out. 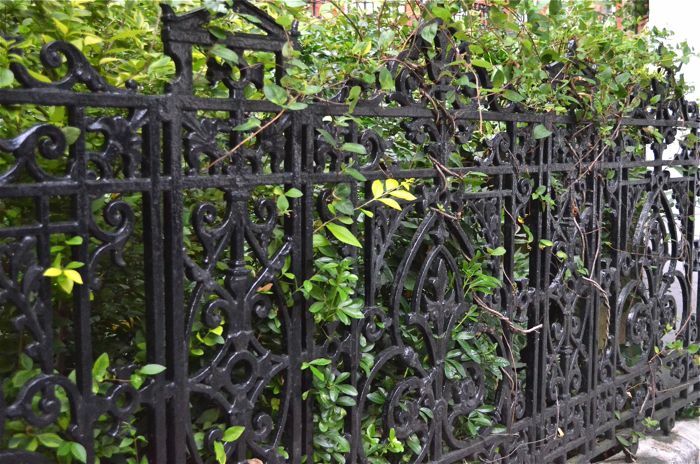 The careful details of the wrought iron fences lay against the natural growth of beautiful hedges. I live in an area with a heavy Tudor influence, and this (so very lovely) post reminds me of my neighborhood. :) Thanks for sharing - great pics!